Prior Attendees: For those who attended the previous two seminars there is no fee, but we would appreciate a donation to the Sanctuary of Tao. Just donate what you can afford. We ask that participants who attended the previous seminar(s) register as soon as possible so that we can then know how many remaining spots will be open to new students. Just write us as soon as possible to let us know if you will be attending. New Attendees are limited only to those who have purchased (or plan to purchase) the initial two DVD sets (Seminars I & II) but wish to attend the third seminar in person. Registration fee for New Attendees is $395.00 (a deposit of $100 must be made to reserve your spot in the seminar. Deposit is non-refundable if participant cancels. Full refund if the Sanctuary of Tao needs to cancel). Balance of $295 due by January 31, 2018. New attendees are also required to have three online (Skype) sessions with Stuart prior to January 31, 2018. Each Skype session runs approximately 45 minutes and costs $60 per session. These sessions ensure that the new attendee has learned the fundamentals of seminars I & II of the Yellow Court teachings. A discounted rate of $325 is available to those who pay upfront for the seminar (a savings of $70). This seminar presents the final teachings of the Yellow Court Practice, focusing purely on outlining the practices of the Yellow Court teachings, and how they are to be applied as a daily practice. An audio file narrated by Stuart Alve Olson of the Yellow Court External Illumination Scripture will also be provided for each participant to use in their practice. 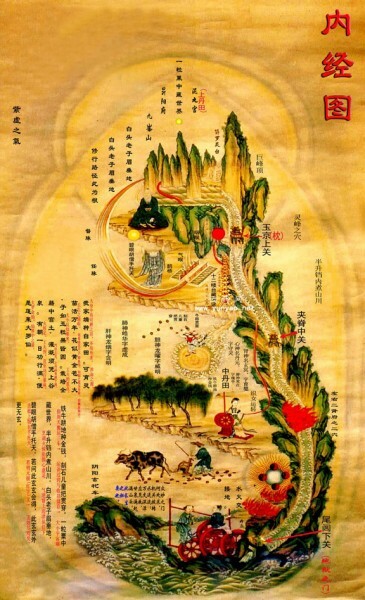 This final seminar on the Yellow Court Meditation Practice details the three main areas of practice: Absorbing the Mists (accumulating Qi in the Five Viscera), Thunder Rites (opening the lower Yellow Court in the body), and Illumination of the Spirit (congealing the Qi and Spirit). Plus, how to employ the two Yellow Court Scriptures (External and Internal) for the 90-Day Immersion and Three-Year Cultivation Practice. The Third Seminar will also be recorded like Seminars I & II. 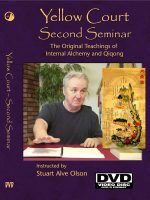 The Seminar Three DVD-set will be free to all workshop attendees and available for purchase to those who have purchased the DVD sets of Seminars I & II. 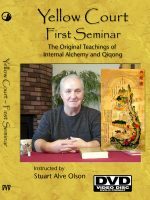 Those who attended the seminars in person will receive a Certificate of Completion for the Yellow Court Meditation Practice and be listed on the Sanctuary of Tao website (if they so wish). Certificates are also available for those who purchase all three DVD sets and who complete nine online (Skype) sessions with Stuart.